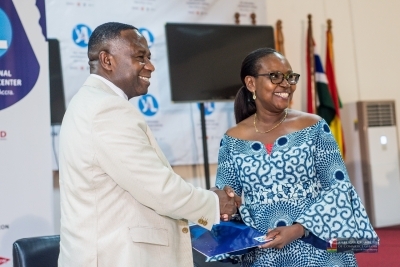 The American Chamber of Commerce, Ghana on Friday, March 22, 2019, signed a Memorandum of Understanding with the Young African Leaders Initiative (YALI) Accra Regional Leadership Center. The MoU was signed during the closing ceremony of YALI Cohort 13. The MoU is to establish a framework for communication and collaboration between AmCham Ghana and YALI Accra RLC. The two organizations are interested in sharing strengths and experience to promote and develop West Africa young businessmen/businesswomen’s entrepreneurial and leadership skills. Young African Leaders Initiative (YALI) was launched by the United States government as a signature effort to invest in the next generation of African leaders, and this partnership with AmCham Ghana will further enhance YALI’s efforts in shaping the future of business and entrepreneurship, civic leadership, and public management. The participation of the private sector in youth training is a key investment to build a more stable society with better citizens, better business leaders, and more responsible consumers. 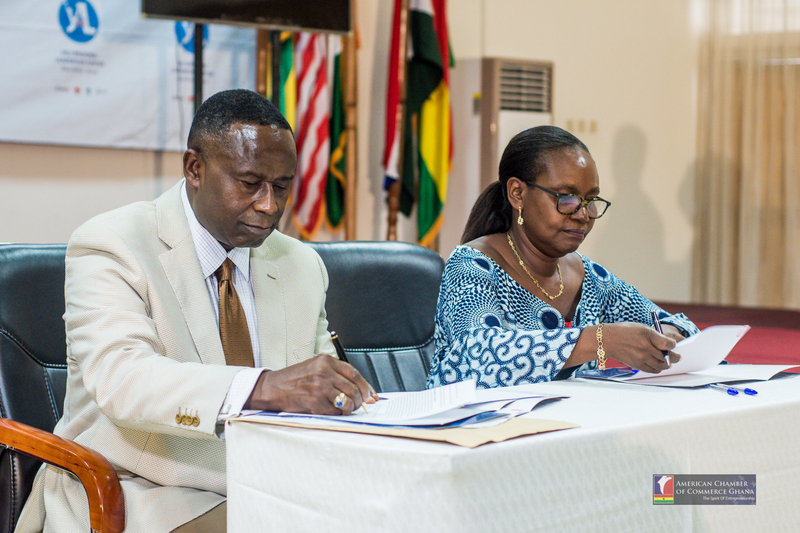 Under the terms of this MoU, AmCham Ghana will serve as a Resource Partner to YALI Accra RLC, through in-kind contributions, AmCham will offer speakers for training sessions in the RLC. The Chamber will also offer mentoring and internship opportunities for RLC participants. Also, AmCham as a Driver of Sustainability will provide assistance in areas which will respond to and address developmental challenges in Africa. The delivery of high-quality training will enable young people to engage more directly in the knowledge society and contribute to the competitiveness of the national economy, for this reason, AmCham Ghana is pleased to go into this partnership with YALI. The American Chamber of Commerce (Ghana) is a voluntary association of professional and business people, working to create an environment where business can thrive between Ghanaian and American communities. AMCHAM exists to promote commercial, economic, educational and cultural ties between the United States of America and the Republic of Ghana. The Young African Leaders Initiative (YALI) was launched by the United States government as a signature effort to invest in the next generation of African leaders. The need to invest in grooming strong, results-oriented leaders comes out of the statistics: nearly 1 in 3 Africans are between the ages of 10 and 24, and approximately 60% of Africa’s total population is below the age of 35. Who will empower and lead these young Africans? Who will shape the future of business and entrepreneurship, civic leadership, and public management? In order to answer these questions, YALI promotes three models designed to identify and empower young leaders: the YALI Mandela Washington Fellowship, YALI Network and now the establishment of Regional Leadership Centers across Africa.